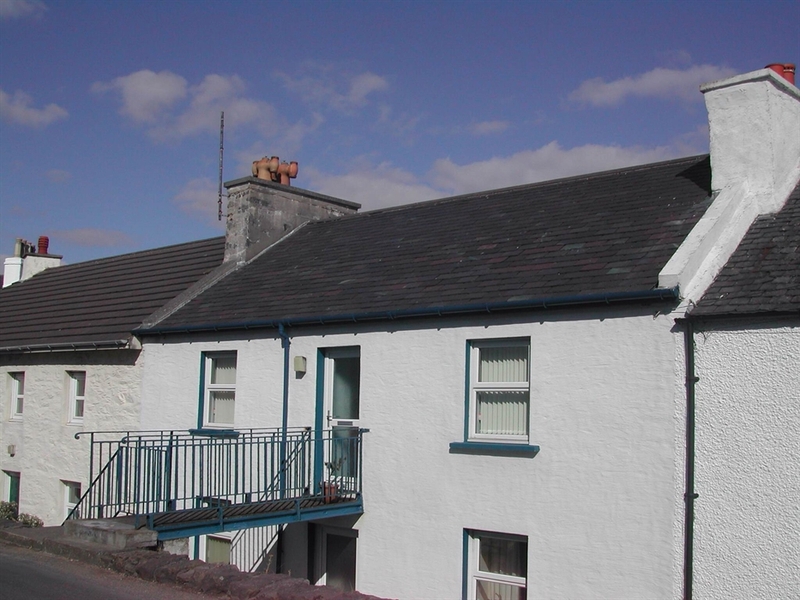 Bridge House flat is the top half (street level) of a stone cottage in an excellent location in the centre of the lovely conservation village of Port Charlotte. 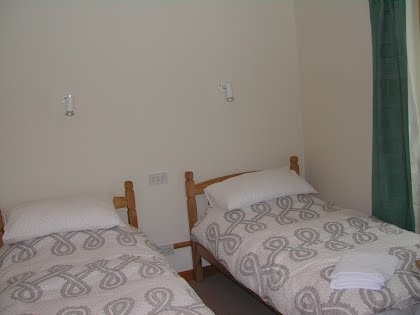 It is a short walking distance of the local shop, hotel, children's play area, museum, wildlife centre, a small beach, and the harbour. 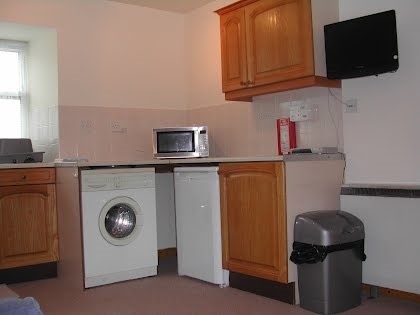 There are 2 bedrooms; one double, one twin, an open-plan living area/kitchen, and shower room (shower only - no bath). If you do not want to drive the nearest bus stop is only 50 metres away with services across the island until about 6pm. There is also a bike hire shop just across the street. There is no car parking directly outside the flat. However we have never had difficulty getting parked and tend to favour the lay-by past the hotel car park, overlooking the sea (30 metres walk). If we have heavy luggage to unload we park outside the door just to do that. Sorry no smoking allowed inside the flat. 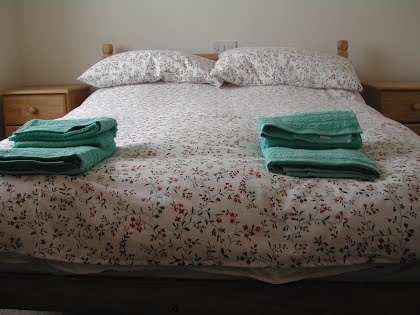 Weekly rates from £205 in low season. Discounts apply for late availability. Please contact us for more details.